Two First Group subsidiaries have recently repainted a couple of their buses into heritage liveries from the 1990s. Now operating across the city of York is fleet number 69374 (YJ08 XYO) a 2008 Volvo B7RLE with Wright Eclipse Urban bodywork, that now sports the Yorkshire Rider livery with Rider York name applied. The offside is illustrated here at the Poppleton end of the cross City route 10. 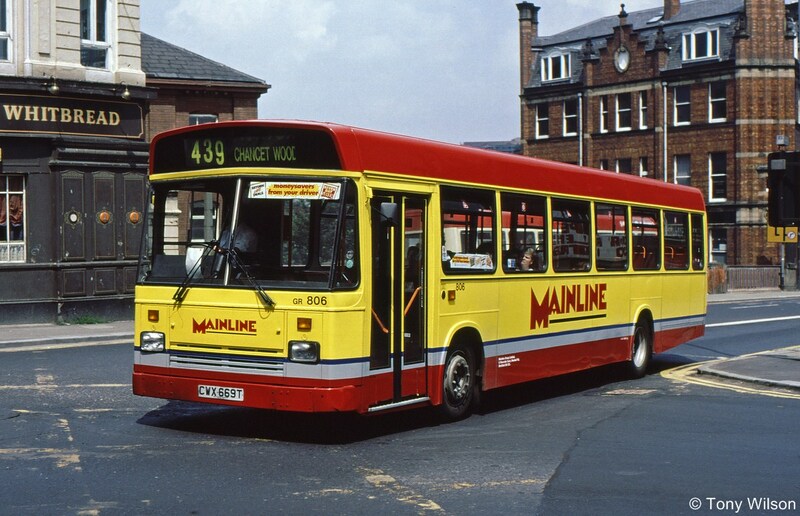 Over in South Yorkshire is a similar Volvo/Wright bus 69017 (SF55 UAK), this time in the former Mainline livery that operated in locations such as Sheffield. On another cross city route this time the 51 allocated to Olive Grove (OG) depot, 69017 (with previous fleet number 1017) passes through Arbourthorpe on way to Lodge Moor. 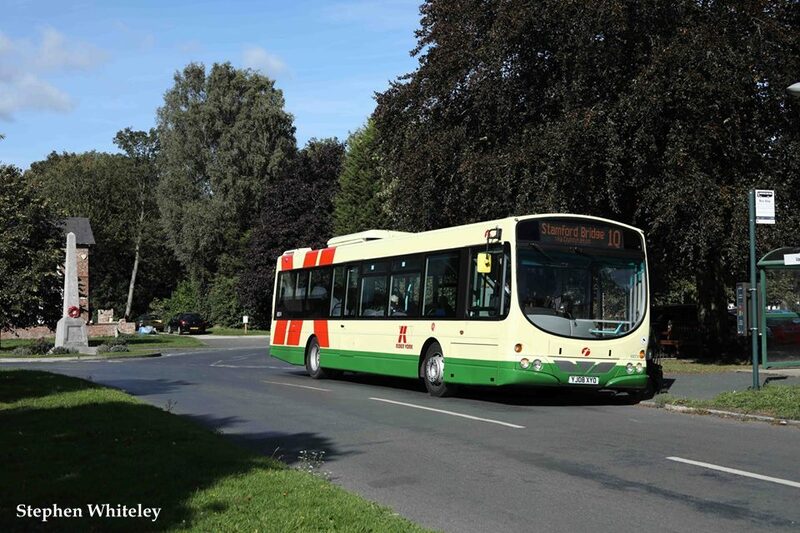 Pictures courtesy of Stephen Whiteley. 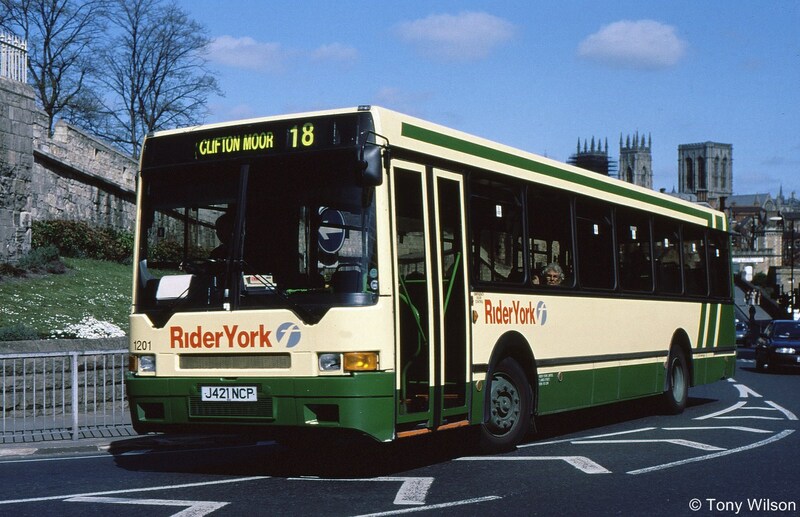 By contrast archive pictures from the period when the liveries were originally active. 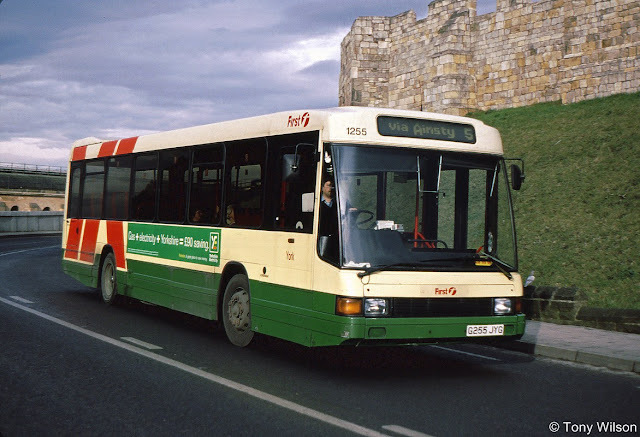 With the Minster in the background 1201 (J421 NCP) an Ikarus bodied DAF SB220 swings round Station Road to dive beneath the city walls in April 1997, as it heads out to Clifton Moor on route 18. An earlier DAF SB220 is fleet number 1255 (G255 JYG) Optare Delta as it passed around the outside of the city walls during February 1999. 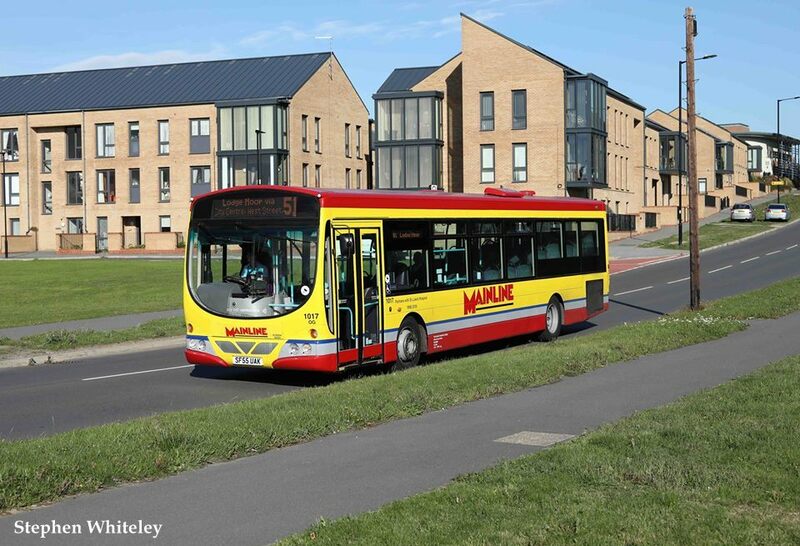 The relatively new Crystal Peaks shopping complex and infrastructure of the Sheffield Supertram provide the backdrop for 734 (M734 VET) in the Mainline fleet. 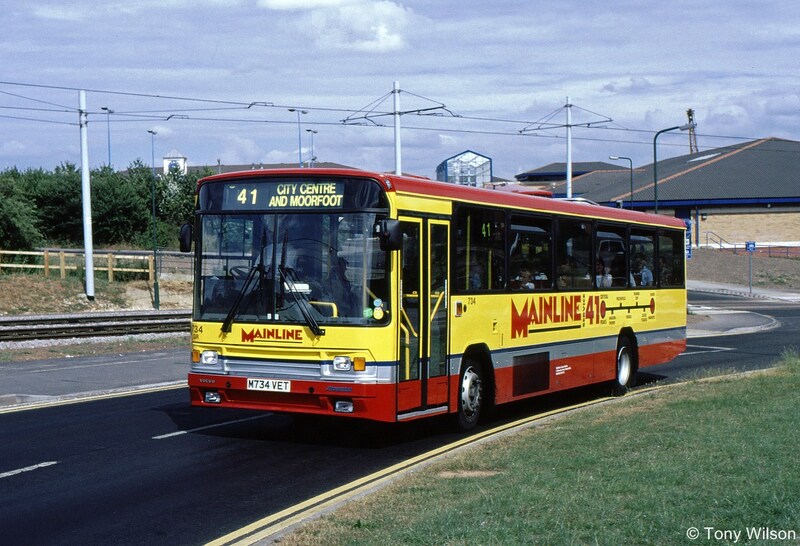 An earlier Volvo this time a B10M version with Alexander PS bodywork was heading back into the city centre having served the new developments and housing estates. Something a little older and angular is Mainline's 806 (CWX 669T) originally a Leyland National supplied to West Riding in 1979 as fleet number 51. It later became part of the National Greenway project and illustrated here on The Wicker in Sheffield city centre during July 1994.